As many false statements have been made in relation to the authorship of the revelation on celestial marriage, I deem it but justice to all lovers of truth for me to express what I know concerning this very important matter. 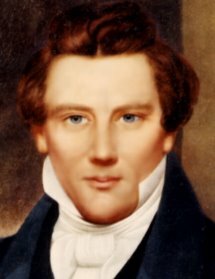 On the 22nd day of July, A. D. 1843, Hyrum Smith, the martyred Patriarch, came in a carriage to my house in Nauvoo; he invited me and my wife to take a ride with him; accordingly, as soon as we could make ourselves ready, we got into the carriage and he set off in the direction of Carthage. Having gone a short distance, he observed to us that his brother, Joseph Smith, the Prophet, had received a revelation on marriage, that was not for the public yet, which he would rehearse to us, as he had taken pains to commit it to memory. He then commenced rehearsing the revelation on celestial marriage, not stopping till he had gone quite through with the matter. After which he reviewed that part pertaining to plurality of wives, dwelling at some length upon the same in order that we might clearly understand the principle. And on the same day (July 22nd, 1843) he sealed my wife, formerly Martha Jane Knowlton, to me; and when I heard the revelation on celestial marriage read on the stand in Salt Lake City in 1852, I recognized it, as the same as that repeated to me by Brother Hyrum Smith. Not long after this I was present when Brother David Fullmer and wife were sealed by Brother Hyrum Smith, the martyred Patriarch, according to the law of celestial marriage. And, besides the foregoing, there was quite enough came within the compass of my observation to have fully satisfied my mind that plural marriage was practiced in the city of Nauvoo. Joseph Smith III's interview with Howard Corey in 1885 (only three years later) revealed a much different understanding than the above. Mr. Corey taught the second school I remember attending after my earliest lessons at home. I have written of this school, kept in the double loghouse, one end of which was occupied as a living room, situated in the same block as the homes of Uncle Hyrum and John Taylor. He was the man whose leg father broke when engaged in a friendly tussle, as I have related. After father's death he and his wife remained a year or two at Nauvoo, and then went West with other immigrants to Utah soon after grand­mother's history was completed. On Friday, July 10, about noon, a man came to Brother Gammon's desiring a talk with me. I bade him be seated and was just about to settle down beside him when two others came in, one of whom had a whip in his hand. They came for­ward, and one announced himself as Howard S. Corey, introducing the other as a Mr. Dusenberry, nephew of Judge Dusenberry, of Provo. The young man had brought Mr. Corey over in his buggy, for, having heard I was in town, the latter desired to see me and have an interview with me. I told him I was very glad to meet him again and that he was very welcome. The gentleman who had first come in asked if he should not retire and come another time, but I told him to stay, for nothing would be said that he might not hear; so he was present throughout the interview. The young man Dusenberry, a much younger man than Corey, took a seat nearby where he also could hear well what was said, and there were pres­ent, besides, Thomas Gammon, our host, and Elders Anthony and Luff whom I in­troduced to my visitors. After these preliminaries Elder Corey stated that he had been very anxious to meet me ever since he heard I was in Utah and that now he had come to tell me his story in order that I might not be entirely ignorant of matters which had happened in the past. After a few words exchanging memories of affairs at Nauvoo, he began his story, and told it well—that is, it would have been well for him had I not remembered quite clearly a number of things which proved somewhat troublesome for him to ex­plain or answer, in view of his anxiety to enlighten me upon things which he thought I ought to know. "Brother Corey, did you see or hear read in Nauvoo any 'revelation' on celes­tial marriage?" "No; I was taught it in conversation by Hyrum Smith." "Was it publicly preached at Nauvoo to your knowledge?" "Did you hear my father teach or preach it?" "Did you ever see at my father's house any woman besides my mother who was known and recognized as my father's wife?" "No, sir. I did not." "Did you ever see him abroad in company with any woman, other than my mother, who was known or reputed to be his wife?" By this time he had grown a little res­tive under the questioning, but I told him to have patience with me, that I was anxious to find out all I could, and knowing and remembering him, as I did, to have been an intimate acquaintance of the family, it was natural for me to believe he would be able to give me direct and fairly authentic information on these important matters. I told him I was not a child, and was prepared and willing to face either the worst or the best as the truth might reveal it to be. He expressed a willingness to give me any information within his power and therefore I continued my questions. "Did you attend the social gatherings held among the Saints at Nauvoo?" "Did you ever see my father present at any of those festivities?" "Did you ever see any woman with him, other than my mother, who was introduced by him as his wife?" "No, sir; I never saw him in the com­pany of any other woman than your mother, Emma." "Do you have personal knowledge that my father was, married to, or lived as husband with, any woman, other than my mother?" Without hesitation or qualification, he answered, "No sir; I never did." "Did your 'celestial marriage' to your wife take place in the Temple?" "No, sir; the Temple was not finished then." "Did it take place in the Masonic Hall?" "In the Brick Store office?" "Was it in a dwelling house?" "No, sir; it was on the street." "Well, I had held conversations with your Uncle Hyrum, in which he taught me that married couples who felt that they were sufficiently agreeable to one another in their married life together that they wished those associations to be continued after death could go before some high priest and be sealed for eter­nity, in order to assure the continuance on the other side of their ties as married companions. My wife and I had talked this over, and one day, riding in a buggy up Main Street, we met Brother Hyrum on his way home. At his suggestion, we stood up in the buggy, clasped our hands together, and he pronounced the ceremony uniting us as husband and wife for eternity, having already been married for time." "Do you know of any other persons who were sealed in a similar way?" "Yes, an elderly couple well past mid­dle age, whose children were away from home, were sealed in my presence with this ceremony." "Was it done by father?" "No; it was a high priest who was a neighbor to them." "Was it taught that this ceremony which was said to be revealed was in­tended as a marriage ceremony in the ordinary use of the term, used to unite those not already married and who con­templated living together as husband and wife in the flesh as is done in the case of the civil marriage?" Distinctly he answered. "It was not. It was only intended for those already married, who were desirous of continu­ing in the next life their associations as husband and wife found pleasant here. It was not contemplated or considered as a marriage ceremony such as that one contained in the Book of Covenants which is used as a form and authority in the church." "Did you know any man already mar­ried, who was sealed by this ceremony to any woman, or to women, other than his own wife?" "No, sir; I did not. It was not intended to be used in that way, and it did not in­clude the joining in marriage for the purpose of domestic life together as does the usual marriage ceremony." I was particularly pleased with these answers to my questions. Thinking to test his memory and also to justify my­self, if possible, by what he would an­swer, I then asked him how he accounted for the fact now generally conceded that no children were born to my father or to my Uncle Hyrum in polygamy or plural marriage, since it had so often been stated that they had a number of wives. "Brother Joseph, I confess that ques­tion has been quite a stumblingblock to me for I have no way of answering it satisfactorily to myself except I should do it in the way the mother of a young friend of mine accounted for it. He used to work with me up in the canyons after wood, and we used often to talk about the Prophet Joseph and his work. One day he asked me this same question you have asked, and plied me with a number of arguments that I could not an­swer. He then said he intended to ask his mother." At this point in Mr. Corey's story I interjected: "Was she one of Father's reputed wives?" "Oh, yes," he answered, "his mother was one of your father's wives. I tried to persuade him not to broach the subject to his mother, but he seemed determined, for he was plainly curious to know why your father, in the vigor of young manhood, had never had children by any of his plural wives. When next we met and sat down to lunch in the wood, my young companion told me he had carried out his intention and had asked his mother about this matter, and she had replied, after due deliberation, 'My son, the prophet was very considerate in his associations with women, and did not wish to subject them to the disgrace of having children without being married!'" At this astounding statement I exclaimed, "Disgrace, Brother Corey, disgrace?" A flush spread over his features, and he said, slowly, "Perhaps she should have said 'supposed disgrace,' but her answer to the young man was as I have stated it to you." At this the young Mr. Dusenberry hastily arose and said, "Come, Brother Howard, it is time we were going." I could not repress the impulse to say, smiling broadly, "That is right, Brother Dusenberry; better take him away before he makes any further admissions that are damaging to your case." I thanked Elder Corey most heartily for his kindness in coming to see me and for the reassuring statements he had made, which had greatly encouraged and heartened me. We discussed numbers of people and events of those earlier days, and he said before we parted, "I perceive, Brother Joseph, that you remember a good deal more than I thought possible." "My God, my God! Brother Smith, what shall we do, what shall we do?" "What do you mean, friend?" I asked him. "Why, when I thought of all I had been told about your father, I came here to ask you some questions and to overwhelm you with what I supposed I knew. And you have kindly let me stay and hear this conversation between you and a man who must have been thoroughly acquainted with the facts, and here I have heard him testify just contrary to what has always been claimed and charged out here. I am astonished and bewildered!" "You do not blame me for making the inquiries I did, do you?" "Oh, no, not at all—but see what a fix it puts us all in, Brother Smith." His words will have more meaning for the reader when I state that he was, as he told me, one of the three presiding officers of the local Mormon church at Provo and had come, in a spirit of bravado, to see me and "face me down" on some of the points I had made in my sermon the night before. He seemed to be curiously wrought upon, almost fearful. I comforted him the best I could, telling him that if a man did the best he knew and lived as near God as was possible, he need have no fear of consequences. He kept reverting to the fact that they were "all in trouble," that their leading men were being arrested, and that he did not know what was the best to be done. I did not ask him to tell me about his own life, whether polygamous or not, but I rather inferred that it was. He finally thanked me for my courtesy and went his way. Obviously from the answers given by Howard Corey to Joseph Smith III, his testimony published in The Historical Record was not true. He just made it up to support the position of the Utah LDS Church that the celestial marriage revelation (Utah LDS Doctrine and Covenants 132) came from Joseph Smith, Jr. This is additional evidence that the affidavits and statements obtained by Joseph F. Smith do not "prove, beyond a shadow of doubt, that Joseph Smith, the Prophet, did teach and practice the principle of plural marriage in his lifetime" (The Historical Record 6, page 233). In fact, their untruthfulness testifies that Joseph Smith, Jr. was indeed innocent of teaching or practicing polygamy.